Here’s a small drop of the latest variation of the Mk.I bead, the Mk.I-T with target crown. The muzzle end of the bead has a recessed crown like a high-accuracy rifle. 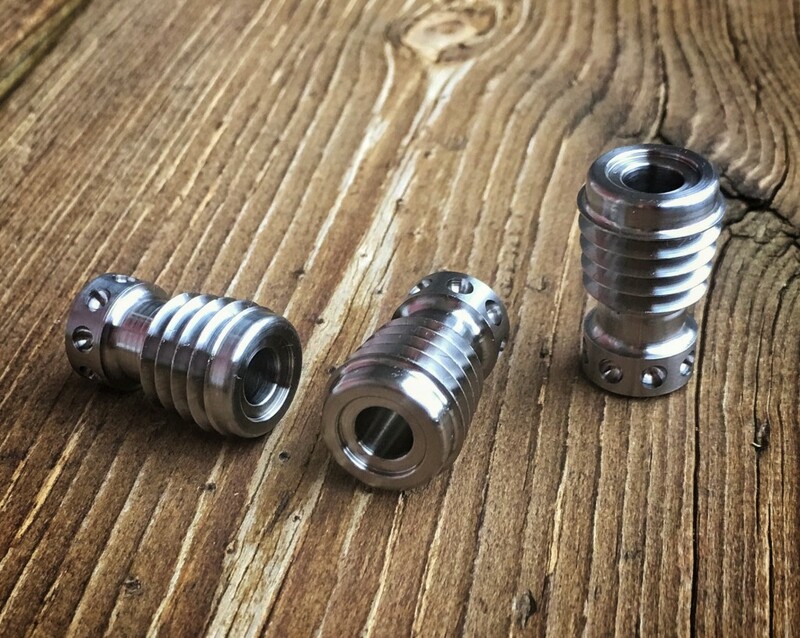 These Mk.I-T Ray Gun beads are in their “raw” as-machined finish in Titanium. These have NOT been tumbled or blasted, so their edges are a little sharper than I’d normally offer. Since these have the dimpled Mk.I base, they are actually pretty nice but note that I will not be offering refund/exchange on these, they are being sold as-is. This finish is perfect for folks who like to modify or finish the beads on their own, or just prefer that shiny straight-off-the-machine look. Limit three (3) per person, use the drop-down menu above the Buy Now button to select your quantity.